Who: Liz Burns, the extraordinary librarian, book-lover, and blogger behind School Library Journal blog A Chair, A Fireplace & A Tea Cozy. Liz is an authority on YA, and we love her opinions and insights regarding books, publishing, and the YA-verse overall. We’re thrilled to have Liz over for the second year in a row! Please give it up for Liz, everyone! I decided to celebrate by forcing myself to pick a top 5 books of the year. Then I argued with myself, cried and pouted and said how unfair I was being. I put it aside, avoided it, narrowed my list to 20, forgot to save a draft so forgot what I had picked, and had to begin all over again. This is my personal top 5. It’s not a guess who is going to win this or that prize, or what are the most literary, or what are the most popular, or what everyone should read. It’s simply my top books. In alphabetical order by the title so that I can at least avoid ranking the five. Code Name Verity by Elizabeth Wein (Hyperion 2012) is my favorite book of the year. Sorry, other books! Code Name Verity begins in France in 1943, and is the confession of a British spy who is about to tell everything to the Nazis who captured her. From wireless codes to how she met her best friend Maddie, she tells every little thing. Or does she? The more I learned about the young British spy who calls herself “Queenie,” and of the wartime friendship between upper class Queenie and working class pilot Maddie, the more I wondered about the tale Queenie tells. Despite her cowardice and confession, I fell for Queenie, for her sense of humor, for the way she spins the tale, and when her part of the story abruptly ends and another voice takes up the story – I was shocked and surprised and a little bit lost, and kept turning the pages, to find out what happens to Queenie and Maddie. As I write this months after I read this book and reread this book and reread it again, what stands out, more than the adventure and spying and danger, is the friendship between the two young women. I also continue to be impressed by how this tale is told, with dual narratives and unreliable narrators, and realizations made days after the book is over. Froi of the Exiles (The Lumatere Chronicles) by Melina Marchetta (Candlewick Press, 2012). Companion to Finnikin of the Rock (Candlewick Press, 2010). My favorite fantasy of the year! And given some of the contenders, that is high praise indeed. This is full-immersion fantasy; the lands of Lumatere and Charyn are all fictitious and there is not even a whisper of connection to our world. This is what you need to know going into Froi: the countries of Lumatere and Charyn have a history of blood and death and betrayal between them, with Charyn clearly in the wrong. The young Queen of Lumatere sends one of her most trusted friends, Froi, on a dark and dangerous assignment: the final act of revenge, the assassination of the king of Charyn. Simple. Except it’s not. Oh, no doubt, the King of Charyn is a nasty piece of work – but should his people be condemned because of that? What about the king’s daughter, Quintana? As I said in my original review (linked above), it’s as if J.R.R. Tolkien set a book in Mordor with a Mordor princess, and the hero falls for that princess. 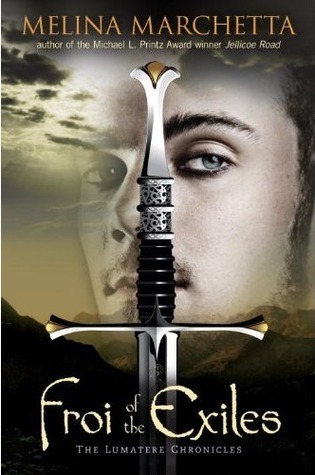 Action, adventure, lies, half-truths, betrayals, loyalty, romance, Froi of the Exiles has it all. Add to it that Froi and Quintana are both broken people (Froi, a child raised on the streets; Quintana, a girl abused by all around her) who may make each other whole. The sequel, Quintana of Charyn, is coming out in March so this is the perfect time to get ready for it by reading Froi of the Exiles. I love, love, love a good mystery. 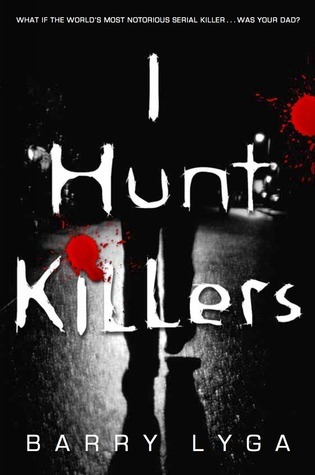 So I Iove, love, love I Hunt Killers by Barry Lyga (Little, Brown & Co. 2012). Teen mysteries can be tough, especially when it’s murder, because how do you place a teen at the center of a murder investigation? Why, make Jazz, your main character, the teenage son of an imprisoned serial killer. Even better, have an author who realizes mysteries are not just about the mystery. It’s also about the characters, here, a study about choice, desire, and hope. Does nature or nurture make one a killer? Jazz seems cursed either way; his father is a serial killer who trained his son in the “family business.” Is Jazz destined to follow in the path of his father? Does he have a choice in the matter? Jazz becomes a suspect because everyone knows what his father did. To clear his name, and prove he is not following in his father’s footsteps, Jazz starts his own investigation. 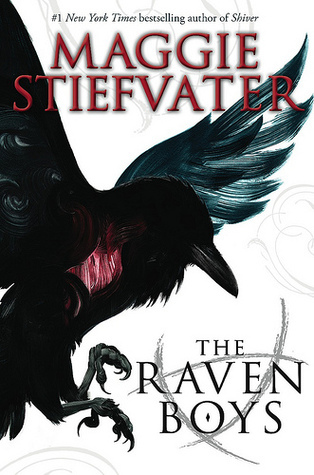 The Raven Boys by Maggie Stiefvater (Scholastic, 2012). Blue is sixteen and has never kissed a boy, because there is one prediction that her family of psychics have consistently made about her: she would kill her true love with a kiss. She stays away from boys, especially the rich, privileged, arrogant “raven boys” from the nearby private boys’ school. Then she meets Gansey and his friends, Ronan, Adam, and Noah, and they’re not quite what she expected. For one thing, these boys are on a quest to discover Owen Glendower, a Welsh king who led armies against the English and disappeared in the early fifteenth century. Gansey is convinced the missing Welsh king came to America and is somewhere nearby. Blue knows she should stay away from these boys and their quest, but she cannot help herself. Blue cannot stay away from the adventure of finding Glendower, of discovering magic in the world, the laughter and trust of friendship, and, maybe, love. So there you have it, my top five: stories of friendship and death, of hurt and healing, of adventure and myth-making. Are any of these in your top books of 2012? Any on your to-read list? Oh goodness! I still need to read The Raven Boys before the year closes (also not on this list but The Scorpio Races). 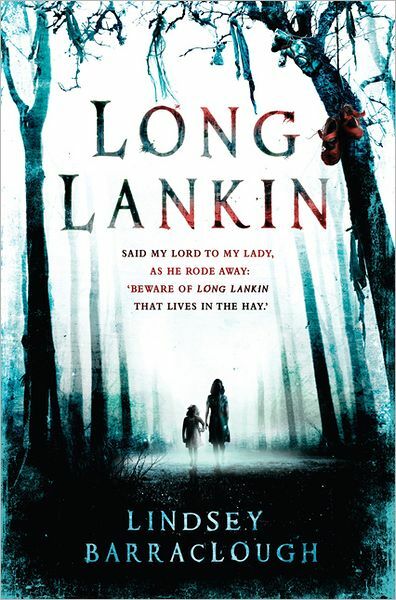 Plus, whenever I would see Long Lankin at my favorite indie store, I’d pick it up and look at it, but then set it down. Next time I pick it up, I’ll have to plunk it down next to the register and buy it. Also. I am now feeling the need to binge read Melina Marchetta. I’ve still only read one of her books (Looking For Alibrandi). I love these posts because during a reading slump they remind me that there are plenty of AWESOME books out there that I just haven’t gotten to yet. Although our top 5 YA books are different (it’s so hard to choose only 5! ), I agree that Froi, Raven Boys, and CNV were some of the strongest books this year. Allie, GRAVE MERCY was in the running for top 5. I haven’t read DAYS OF BLOOD & STARLIGHT, SHADOWFELL, or ANGELFALL yet. So many books to read! April, it’s been a terrific year for books. I’m using all these end of year lists to see what I have to read before I start in on the 2013 books. Carrie, can you believe I haven’t read THE FAULT IN OUR STARS yet? I must be the last person on the planet. I also haven’t read MASTER OF DECEIT or ASK THE PASSENGERS (right now I’m working my way thru the YALSA finalists for NF and Morris), and BITTERBLUE — I only read the first one. Do I need to read the second one to read BITTERBLUE? Hello, Book Smugglers! I’m visiting via LizB on twitter. Interesting list, Liz, including 3 authors (in the middle) I haven’t read. I tend to prefer realistic fiction over fantasy, but your suggestions are intriguing. Commenters, I’m part way through Grave Mercy and Ask the Passenger is on my to read list. Both look great. Will check out the others.